Do you have a squeaky bed frame? Lack of sleep can be for many reasons, but one of the most common is because of a squeaky bed. Revival Beds have been handcrafting squeak-free bed frames in their Nottinghamshire workshops since 1983. Find out how to pinpoint and fix the squeak on your bed and how to guarantee that your next bed will be 100% squeak and hassle free! Find the cause of the problem by checking the most common areas of a bed. Check the mattress and its springs, the slats and the joints of the bed frame itself. If the issue is coming from the mattress, then check how long you have had it. If it is over 7 years old, then it will be time to replace it. Not only may it be the cause of the noise, but there is also a good chance that it is no longer providing you with the adequate support for your body and spine during sleep. If the squeak is coming from the slats or the joints, then check that all the components are tight and have not become loose. Also make sure that any components such as bolts, screws and washers are in excellent condition and don't need replacing. If you have a metal bed, it would also help to lubricate the joints with maintenance spray and if you have a solid wooden bed, rub some candle wax between the joints. Because wood is a natural product there can often be slight movement between the warmer and colder seasons, so it is always a good idea to check and tighten the joints if necessary. A good quality wooden bed should always be 100% squeak free. It should also be manufactured using the best materials and components. When looking to purchase a new bed, always make sure it will not squeak. Check with the manufacturer and ask if this is included in the guarantee. Also, ask how the bed is constructed and if self-assembly is required. 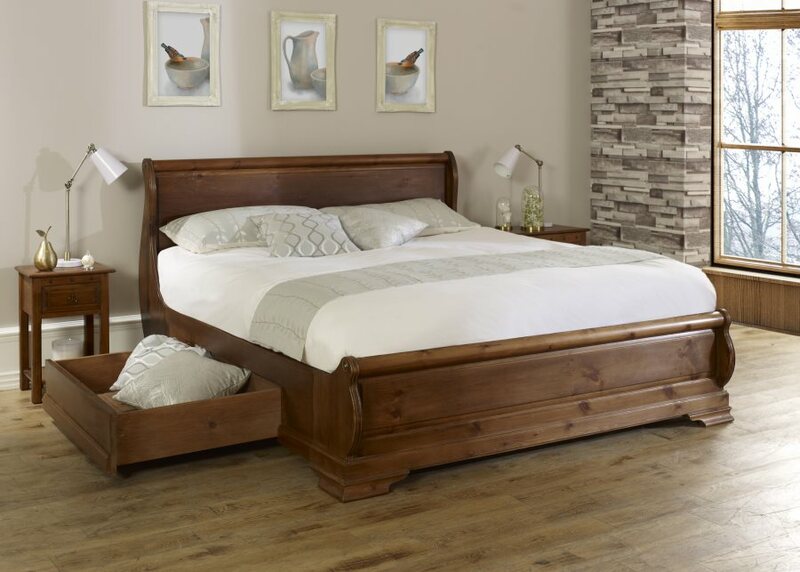 The Revival collection of solid wooden beds; including four poster beds and sleigh beds, are guaranteed for 10 years and guaranteed to be 100% squeak free. Each bed is handmade in Nottinghamshire by master craftsmen using the finest materials and trusted time-honoured techniques. Free delivery is also carried out by their experienced team to ensure a perfect squeak free installation. 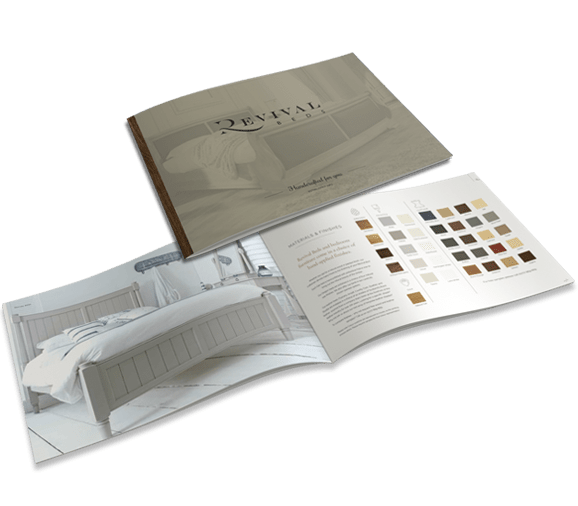 To find out more about the Revival collection of squeak free bed frames, request your free brochure by clicking on the link below. 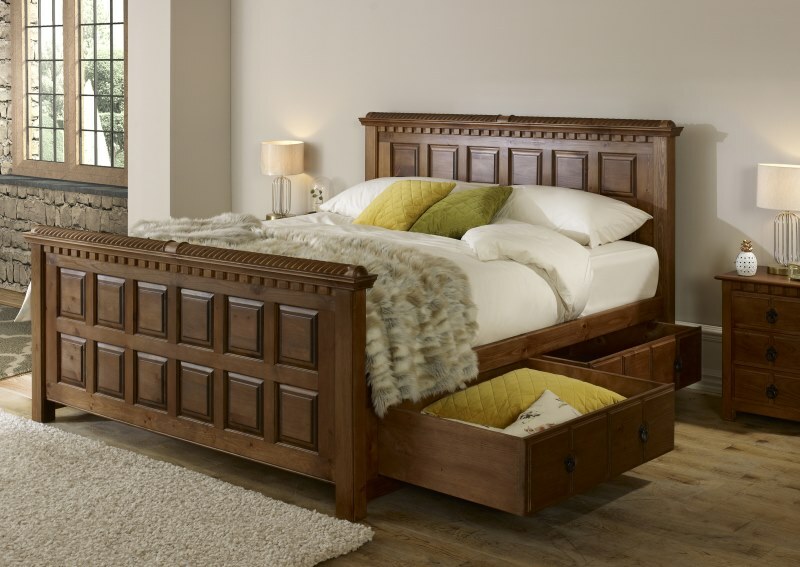 Revival Beds are members of the British Furniture Manufacturers (BFM) association.